Born: June 22, 1918 in Sheffield Ma. 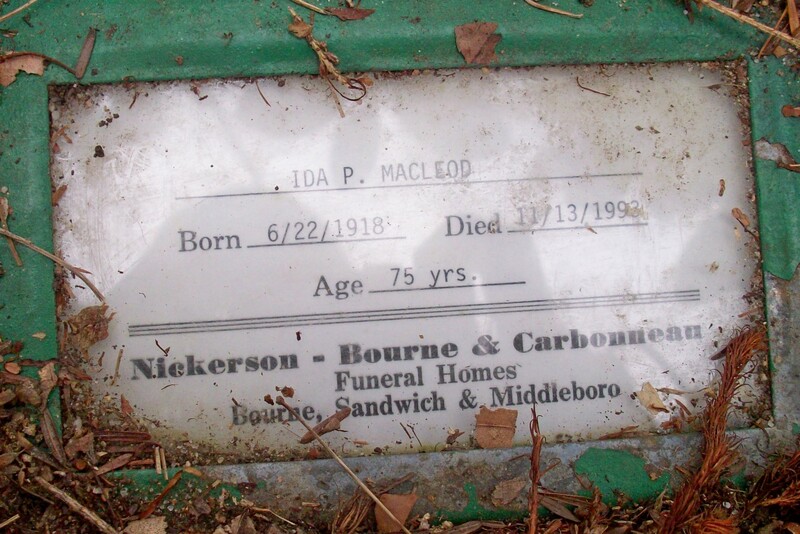 Died: November 13, 1993 in Pocasset Ma. at 75 yrs. 1. Mary Elizabeth MacLeod Ziemba: (August 11, 1939 – September 10, 1981); Married (–) Ziemba; Mary is buried in Cataumet Cemetery.